Make your mark on art projects with an explosion of glittery color using Elmer’s Classic Liquid Glitter Glue. Specially formulated to be washable and easy to use, Elmer's School Glue perfect for school projects and home arts and crafts. 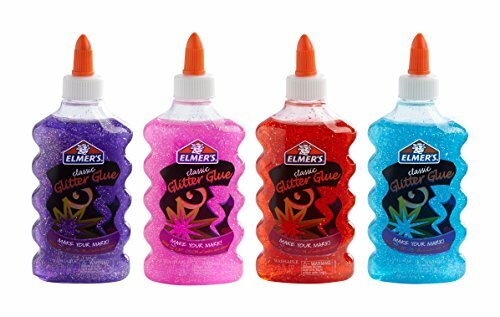 Elmer’s glitter glue does not run and is non-toxic for reliable results with every use. Not recommended for use on photos, bare metal, submerged surfaces, or heated surfaces. You can also use your liquid glue to create glitter glue slime!